Nintendo has come out on top of another Wii-related patent infringement lawsuit. 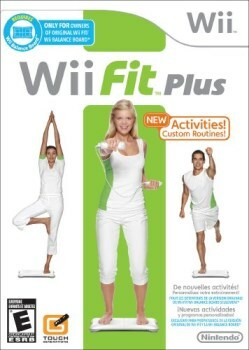 In 2010, Nintendo found itself at the wrong end of a patent infringement lawsuit brought by IA Labs, an "interactive fitness company," which claimed that the Wii Fit, Wii Fit Plus and other Wii peripherals infringed upon two of its patents. IA Labs further stated it had contacted Nintendo about the possible infringement in 2007 and had offered to license its technology to the game maker, but those overtures apparently went nowhere. A judge dismissed the suit in 2012 and now the U.S Court of Appeals for the Federal Circuit has upheld that ruling, presumably delivering final victory to Nintendo in the process. "We are very pleased with the court's decision," said Nintendo of America Deputy General Counsel Richard Medway. "Nintendo has a long history of developing innovative products while respecting the intellectual property rights of others. We also vigorously defend patent lawsuits, like the IA Labs lawsuit, when we firmly believe that we have not infringed another party's patent." The court also ordered IA Labs to pay more than $236,000 for Nintendo's legal fees - pocket change for an outfit like Nintendo, perhaps, but likely a more painful amount for a small fitness technology company in Maryland.